Manufacturer of a wide range of products which include pvc store well. With rich industry understanding and knowledge, we are engaged in providing top class pvc storewell. 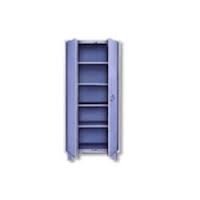 Our offered folding cupboard is extensively demanded in market. Apart from this, we examine this folding cupboard on different quality measures in order to dispatch perfect range. Also, we provide this folding cupboard to our customers with unique designs at affordable rates.